lol i hope so, cause i know a few things that can cut thought that like easy…. That’s quite misleading. I’m sure when a store owner puts in 3M Security Glass the Criminals won’t honor the ‘Just use Feet and Hands to break into this’. Create a truly indestructible medium and try this marketing again. If you got something somebody wants, and that somebody has the skill, they will get it. What about those things they use in cop cars now, that break the window in case the car gets submerged? 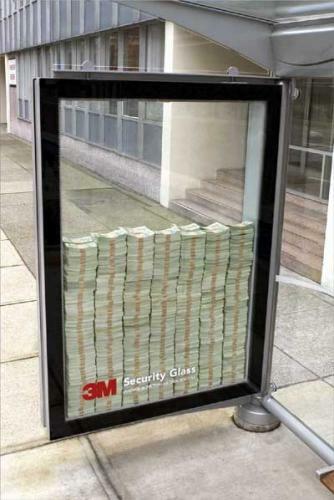 I don’t think those would break security glass. We used to use spark plugs on bungee cords to break bus shelter glass to steal movie posters in university. I don’t think it would work on that glass. It’s perfect for glass that crumbles though like car windows. Not old car windows though. Just ask Jayne Mansfield. I like the way phyreblade thinks. Seldge hammers are the definition of fun.